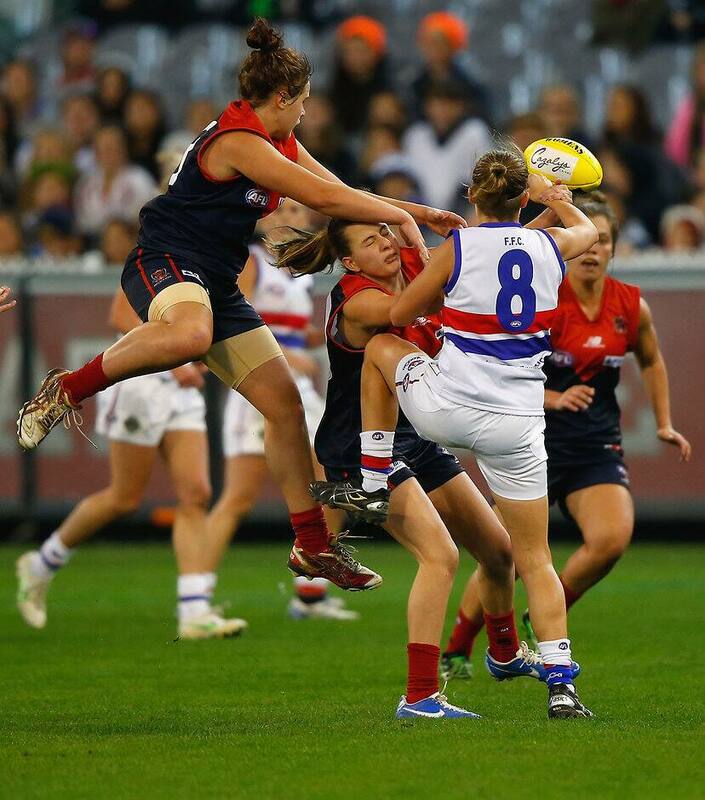 It was a watershed moment for women’s football when almost six years ago, the Western Bulldogs and Melbourne took to the MCG for the first AFL women’s exhibition game. The success of that night, and the wave of momentum which started to swell in the aftermath, paved the way for what eventually became the AFLW competition in 2017. On Saturday night, the Bulldogs will watch their premiership flag of 2018 hang proudly at VU Whitten Oval,when it is presented in an official pre-match ceremony. For those who were part of the premiership squad, it will conjure memories of last year, and of the year before, when foundations were laid for the rise to the top. For others, like Simon Garlick, it will elicit feelings of satisfaction and pride, to know they played their role in the beginning. Garlick, who arrived at the Bulldogs as CEO in 2010 and served a five-year term, helped lead the Club’s push to be a foundation AFLW club by spearheading the coordination of that first exhibition game on June 30, 2013. “We pursued the exhibition game based on it being the right thing to do. To provide a platform for our women was a concept we were extremely passionate about,” he said. “The key partners in the initial games – Melbourne Football Club, the stadiums and the AFL - were all very supportive of the concept. “We knew the standard would be good, but the first game blew everyone away. The speed, skill and physicality was incredible, and really did provide the impetus for us all to take the women’s game more seriously. The Bulldogs and Melbourne played exhibition games for three years – one in each of 2013 and 2014, and a two-match series in 2015. In 2016, as the AFL pushed for the creation of a national women’s competition, it opened a process for clubs to tender their applications for teams to join the new AFLW. Mark Evans, a Bulldogs board member, was chair of the sub-committee which entered the Club’s submission. “There was great pride at the Club in being seen as a pioneer of women’s football, and we wanted to maintain a leading position as the new league was formed,” Evans said. “This went back to the 1940s, when the club had a women’s team. In putting our submission together, we focussed on our vision for AFLW as much as we did on the Bulldogs team. “Given our history, the Club wanted to take a leading role in the development of the new league and not just be one of the pack getting awarded a license. “At the same time, it was a competitive bidding process to get a license and we were really aware we needed to provide a compelling proposal to ensure we were one of the first licensees. We didn’t want to rest on history and take it for granted we would get the license. “It was an intense period as it was a competitive tender and we knew some of the financially stronger clubs were investing a lot of resources towards their bid and were seeking publicity. “It was an exciting day when we were officially awarded the license and it was a great effort from all the Club staff involved in the process."